The new story is about a popular TV actor Divya (Rubina), who puts aside her love life in the quest to build a career. Karan will play Raj, a disillusioned young man, who ends up marrying Sarita, played by Srishty, chosen by his ... Read more..
-Deepzz- 366 40195 11 May 2014 at 9:10pm, by relentless. -Deepzz- 6 8211 04 November 2013 at 7:41am, by -Anarkali. TB:Bollywood calling for Karan V Grover! Another actor to get MARRIED at the end of this year..! 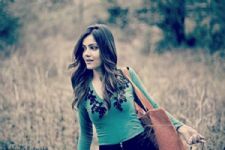 Guess what is Rubina Dialik reminiscing about?? 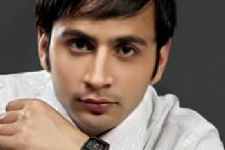 Nikhil Shaney to quit 'Kalash'! Dance sequence in Punar Vivaah Ek Nayi Umeed! Punar Vivaah Ek Nayi Umeed TV Show forum is a very active community of Indian television viewers worldwide discussing Zee TV's Punar Vivaah Ek Nayi Umeed TV Show. Our forum currently has over 3406 active discussion topics about the show. And you will also find all the latest Punar Vivaah Ek Nayi Umeed videos, news, cast, synopsis, photo gallery, and much more only on India-Forums.com.